Our team understands how anxious some clients may feel about visiting the dentist. They are dedicated and well trained in making your dental experience as pleasant and relaxing as possible. Received her DDS designation in 1992 and has been a member of the Royal College of Dentists of Canada and Ontario Dental Association since 1999. 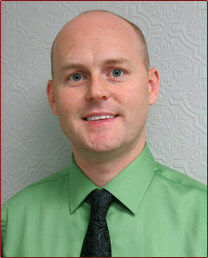 Dr. Rassam is an active member of the Hamilton Academy of Dentistry. Dr. Farah is a true people’s person, warm, friendly and outgoing. She updates herself with the newest techniques and attends CEC frequently. Farah believes in patient satisfaction as her number one goal. Team work is the key for comfortable dental care. She has been working in Hamilton and Haldimand Norfolk for over 10 years and during this time Dr. Rassam has maintained a great base of happy patients and staff members. When not working Farah enjoys spending time with her husband and two boys and her big family. Dr. Rassam spends a good part of her time running MTDMF Charity Organization that she founded in memory of her daughter Maryan to help the needy, the under privalaged and the mentally and physically challenged children. Graduated from Faculty of Dentistry at the University of Toronto in 2004. 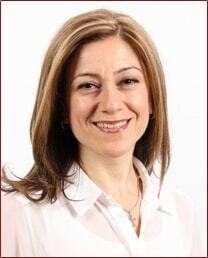 She is a licensed dentist through the Royal College of Dental Surgeon of Ontario and an active member of the Ontario Dental Association and the Hamilton General Academy. Asides from her passion for dentistry, Dr. Rassam is well known for her patient care and gentle side manner. Dr. Rassam is committed to creating a comfortable experience for all her patients and aspires to build a trusting relationship with familymembers of all ages. She especially enjoys treating children. Continuing education is important to Dr. Rassam so she can provide comprehensive dental care for her patients. Her additional training includes: Oral Conscious Sedation and Invisalign (Invisible Braces). 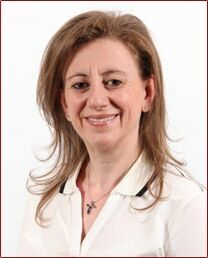 In her spare time Dr. Basma Rassam enjoys spending time with her husband and two kids. She enjoys listening to music and walking. Dr. Basma Rassam is accepting new patients and is happy to provide care to patients of all ages. Has worked in the dental industry for over 10 years, after graduating from the denturism program at George Brown College in Toronto. Over the years, he has worked alongside dentists, oral surgeons, hygienists, orthodontists and dental technicians, and has gained valuable experience that serves him well in his practise. Throughout treatment, Peter’s relaxed and approachable personality helps patients to feel comfortable and at ease. On a case by case basis, it is his intent to find the most practical treatment option to suit the needs of each person’s unique situation. Patients can expect to be very involved in the process of creating their new smile, as Peter believes that combining his knowledge and expertise with an individual’s input and preferences will provide the best results.